Why aren't all work items under a client group? 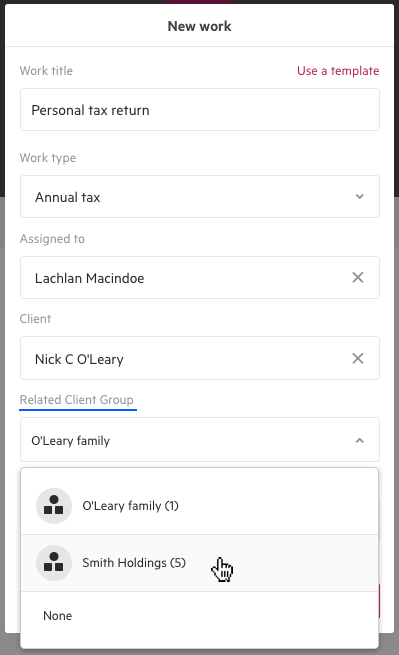 Work for a person or organization can be added to a maximum of one client group. 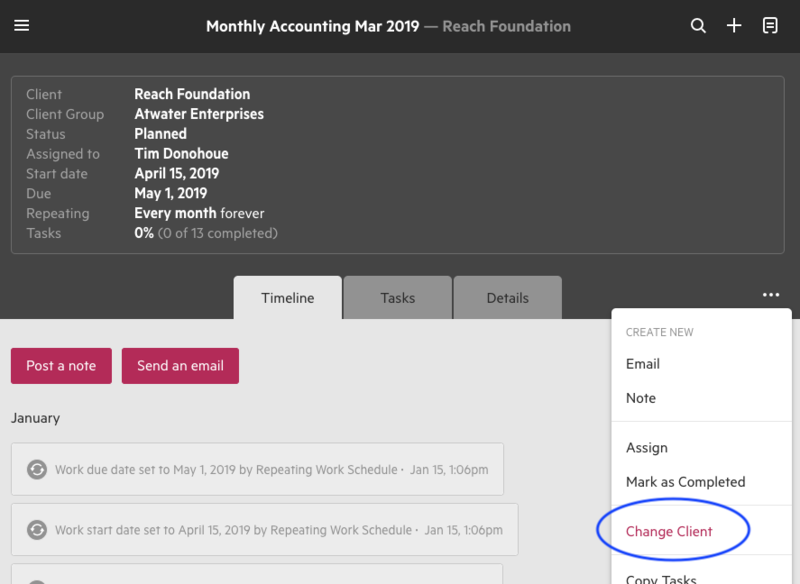 To move a work item from one Client Group to another, simply click on the options menu "..." and select change client to update related Client Group.